I am not into cars and I couldn’t care less about their parts. The only time I was into them was when someone asked me what car I would want to own. For a few seconds, I realized that small cars suit me well and decided on either Honda Jazz or the Toyota Wigo. However, when it comes to pop culture, the cars that the characters use always fascinate me. When I looked at the vehicles of different fandoms, I noticed that most of them are extravagant or hard to acquire (unless you customize your own car, which is very expensive). My love for the Batmobile came only recently when Marc exposed to the DC Universe, specifically Batman. I love the Batmobile’s features, which shows how intelligent and resourceful Batman is. 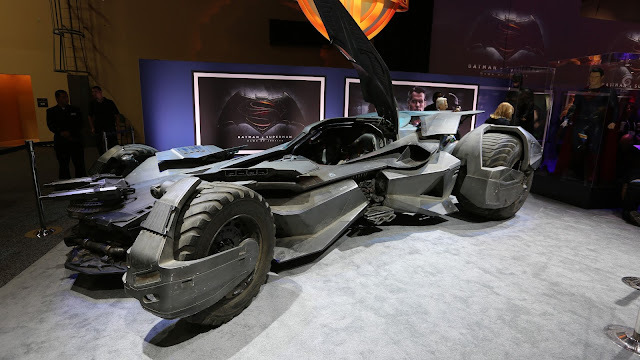 The car has a lot of versions, but my favorites are from “The Animated Series” and “Batman v Superman: Dawn of Justice”. 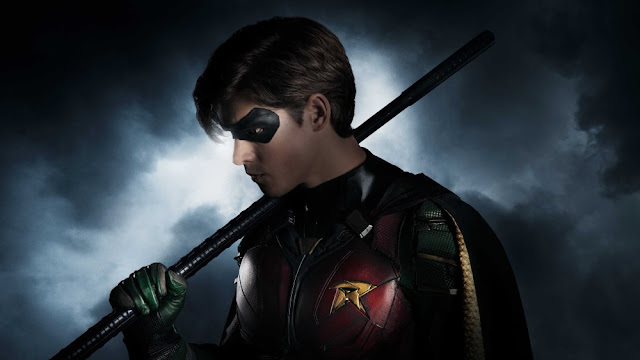 They truly embody who Batman is: human yet knows how to deal the chaos of Gotham. Batman is tough and the same goes for his Batmobiles. Just like the Batmobiles, I only learned to love the DeLorean recently when Marc introduced me to the “Back to the Future” movie series. Yup, I’m that late hahaha, I’m sorry :)) Anyway, the DeLorean is a classic car in pop culture and I now understand why people love it! It is a time machine where Doc and Marty go to various timelines to gain insights into history and the future. 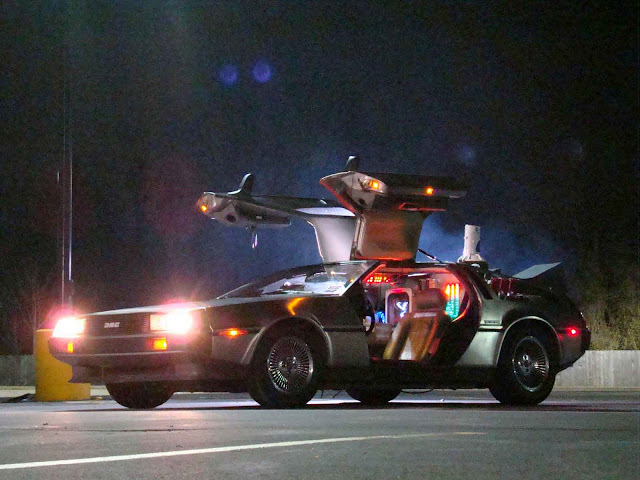 The DeLorean takes them anywhere in history so they can make things right while gaining useful knowledge about the past. This car was their companion in different timelines and has went through a lot of obstacles. In the end, it survived. Now, the DeLorean has received a wide fan base and now I know why. 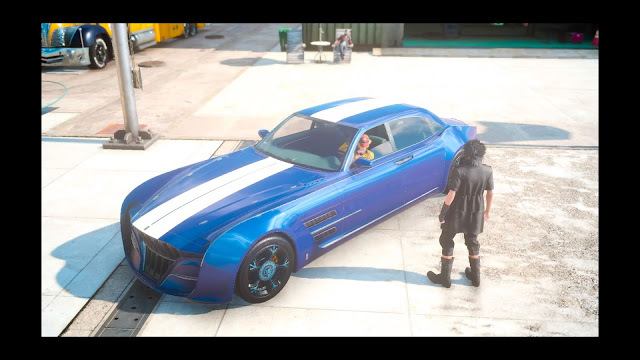 This is the newest addition to my list of favorite pop culture cars because I just recently played Final Fantasy XV. 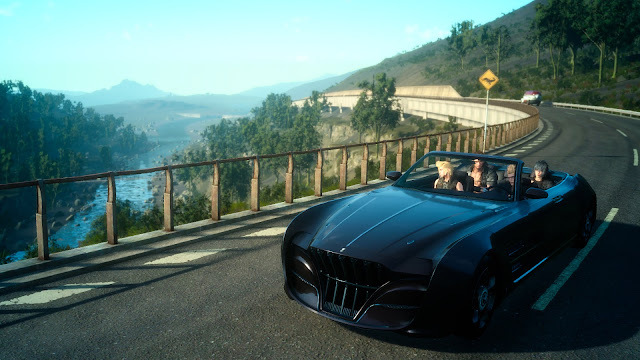 The Regalia is the official car of the main game characters, Noctis Lucis Caelum, Ignis Scientia, Gladiolus Amicitia, and Prompto Argentum. This is their mode of transportation in the world of Eos, going from one place to another. 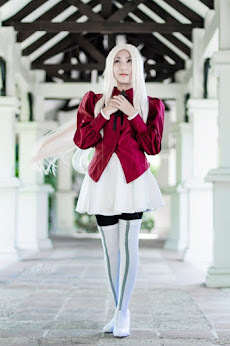 It also serves as the sole witness in their journey to saving the kingdom. I won’t be giving any spoilers for those who haven’t played or finished the game. One thing I can say about Regalia is she (yes she) is something worth taking care of. She is tough, but you still have to give her the pampering and care she deserves. It is a luxury car, but she is far from being high-maintenance. “The inspiration for the Regalia in Final Fantasy XV came from King Regis, the owner of the car, meaning we wanted the car to embody royalty and things like dignity, elegance, and intellect. I have been a big fan of “Supernatural” ever since I laid eyes on Dean and Sam in 2006. Again, my boyfriend had to do with this because he introduced me to the TV series. I am proud to say that I never wavered throughout their run and even when they are on their 12th season, I am still loving “Supernatural” more than ever. However, as much as I love Sam and Dean (especially Dean), there is no doubt that the TV series would not be complete without their beloved Impala. Dean and Sam’s father, John Winchester, once owned the Impala and it has been with their family for so many years. It is revealed to hold various weaponry to fight the supernatural. Just like the Regalia from “Final Fantasy XV”, the Impala is the official car of the brothers, Dean’s Baby, the one who brings them to their adventures, and the sole witness to their whole journey from day 1 to the present. 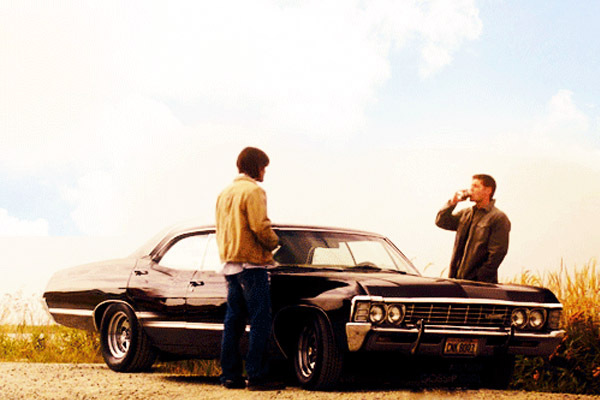 The Impala is such a fan favorite that it had its own episode entitled “Baby” in Season 11. Here, viewers got a look at Dean and Sam’s adventures through the car’s point of view. Just like the brothers, the Impala left an impact on me and is one of the main reasons why I love “Supernatural”. I would really be very sad if this beloved car disappeared in the show. I was actually having a hard time deciding between Impala and Ecto-1 as my top favorite car, but in the end, my childhood won. Ecto-1 is the winner because I have known this cool and vibrant car since the 1990s. My exposure to the Ecto-1 started when I watched 1986 animated TV series “The Real Ghostbusters”. I was the type of kid who watched almost any cartoons shown in TV, but Ghostbusters caught my eye more. I loved the concept of four guys fighting ghosts using their special weapons and it made me happy when a live-action movie was made in 1984. I watched all of these when I was elementary. While I loved the story and the characters (my favorite was Egon Spengler), it is the Ecto-1 that really latched into my heart. 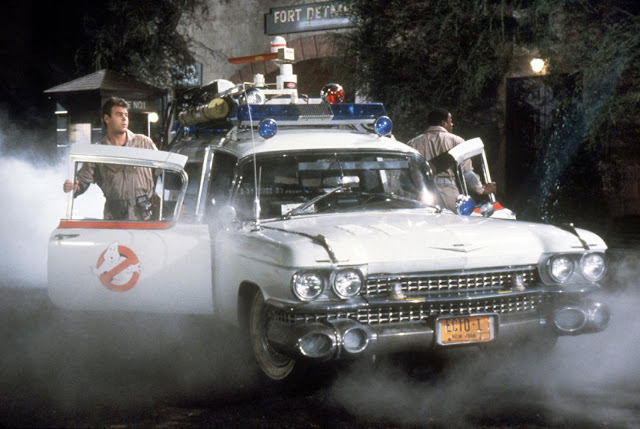 Just like all the cars in my list, Ecto-1 is the official car of the Ghostbusters series and the sole witness of the characters’ adventures. Without it, Peter, Ray, Egon, and Winston would not have been able to go to their destinations and eliminate the ghosts. In fact, when Ecto-1 appeared in the recent female-led Ghostbusters film, I sort of teared up out of nostalgia. It was part of my childhood, so it was nice to see it again. While I know I won’t be able to get the real thing, I still want to have a toy replica of Ecto-1. What I noticed with my favorite pop culture cars is they’re used for long trips or rocky adventures. They don’t just stay in one place; you see them in different states, various fantasy worlds, and in chaotic circumstances. However, no matter what these cars go through, they are tough as hell. Just like these special and wonderful pop culture cars, you should get a car that will take you to places. I don’t remember where I saw it, but one of the great cars best for out-of-town trips is the Ford Escape Aviato. If this car is perfect for your outdoor adventures, you can rent it via Turo. You can book anytime, anywhere and rentals are always within your budget. Indeed, these pop culture cars have made an impact in my geek life. Whenever I see them anywhere, my love for their designated fandoms grew more. They will always have a special place in my heart. What are your favorite pop culture cars? Share your thoughts in the comments section below. 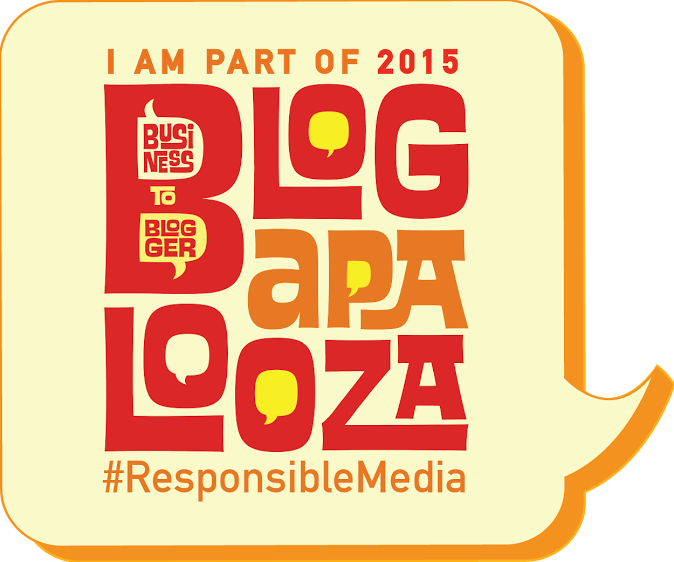 You can also reach me via Facebook, Twitter, and Instagram.